The Washington metro area ranks in the top 10 for cities with the highest percentage of consumers with perfect credit scores, at No. 7, but even so, only 1.94 percent of Washington area consumers have a perfect score of 850, according to Experian. The Washington metro area ranks in the top 10 for cities with the highest percentage of consumers with perfect credit scores, at No. 7 — but even so, only 1.94 percent of Washington area consumers have a perfect score of 850, according to Experian. And while that squeaky-clean score of 850 is commendable, it is definitely not necessary to get the best treatment by lenders. The FICO Score, for Fair Isaac Corporation, the largest provider of software for calculating credit scores, is one of the most commonly used credit scoring models, and scores range from 300 to 850. Nationwide, just 1.2 percent of all FICO scores in the 4th quarter of 2018 stood at 850. 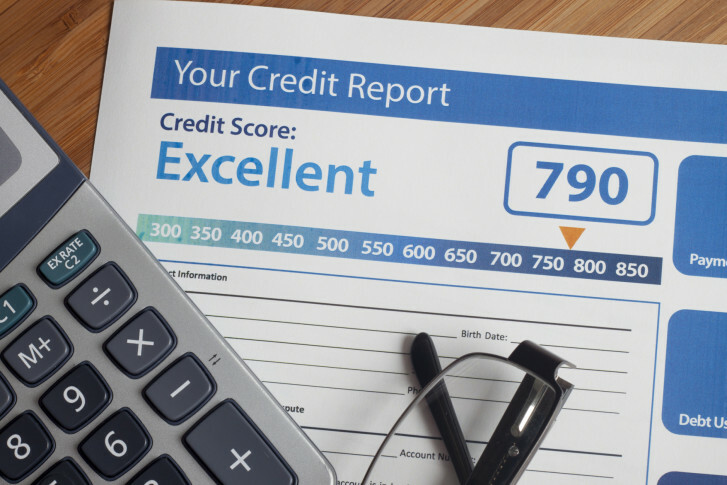 According to Experian, in most cases scores above 700 are considered good, and lenders don’t typically distinguish between scores that are in the “exceptional” range of 800 to 850. In most cases, a score above 760 is enough to qualify for the best interest rates. So what kind of consumer boasts the golden, but not necessary, score of 850? Experian analyzed 4th quarter 2018 data to highlight the characteristics of those with perfect scores, and a big one may seem counter-intuitive. They have a lot of credit cards. Or, more specifically, more “tradelines,” or credit products, including credit cards, loans and mortgages. People with FICO scores of 850 have an average of 6.4 credit cards compared with the average of 3.8 credit cards. But they’re also carrying less than half of the U.S. average of credit card debt: $3,025 compared to the national average of $6,445. Not counting mortgages and personal loans, the 850 crowd has more open trade lines but less debt. They also have significantly fewer delinquencies, meaning they pay their bills on time – the most important factor in calculating a credit score. What is also key to a high credit score is credit utilization, or the amount of debt a consumer has compared with their total credit available. Income has nothing to do with credit scores (though income does restrict access to the size of loans and other credit products). A little over 38 percent of perfect FICO scores are held by people with an average annual income of $75,000 or less, according to Experian. None of this is to say debt is desirable. If you have 6 credit cards with regular activity and keep them paid in full every month, FICO considers you a rock star. But again, the two most important things for maintaining a high credit score are payment history and credit available to amount owed. In addition to the Washington metro ranking No. 7 for perfect credit scores, by state, Virginia is fourth and Maryland is fifth. Hawaii, Minnesota and Connecticut rank highest. The top 5 by metros are all in California, led by San Luis Obispo, at 2.27 percent of consumers. Oxnard, Santa Rosa and San Jose all top 2 percent. San Francisco falls just below 2 percent, at 1.99 percent. If you’re striving for bragging rights of that perfect credit score, or just want a higher one, open new accounts when needed, make payments on time, keep outstanding debt levels low, and check your score periodically. Experian, Equifax and TransUnion are all required by the Fair Credit Reporting Act to provide consumers a free copy of their credit reports once every 12 months. But beware of imposters offering free reports. Only one website is authorized to fill orders for free credit reports consumers are entitled to under law, annualcreditreport.com. Others may, but they are not part of the legally mandated free annual credit report program, according to the Federal Trade Commission, and may come with strings attached, like trial periods that convert to unexpected fee subscriptions.